The idea for the Neurology, Psychiatry and Balance Therapy Center (NPBTC) started as a meeting of the minds of founders Sonya Knight, DO and James Barsky, PT, DPT when they met in 2008. At the time, Dr. Knight, a board certified neurologist and psychiatrist, and Dr. Barsky, a licensed physical therapist, were caring for patients in hospital settings in the greater Philadelphia, PA area. As they grew to know each other and learn more about each other’s specialties, Dr. Knight and Dr. Barsky began to realize the natural fit between their areas of expertise. Dr. Knight’s specialties, neurology and psychiatry, both deal with the workings of the brain and have a tremendous amount of overlap. Dr. Barsky’s field, physical therapy, treats multiple organ systems, including the brain, but focuses on treatments to allow people to perform the activities they need to do in their daily life. Further, Dr. Knight and Dr. Barsky found that they had interest in common conditions that affect many people of all ages – dizziness and balance disorders. Dr. Knight and Dr. Barsky came to see the tremendous benefit to patients that would come from them joining forces. Working together as a team, they could provide the best multi-disciplinary treatment plans and care for their patients. Moreover, they could treat not only the physical signs of their patients’ conditions, but also the emotional and behavioral responses that affect patients with dizziness, balances difficulties, seizures and other neurologic and orthopaedic conditions. In 2011, Dr. Knight and Dr. Barsky were married and set out to open their own practice, Neurology, Psychiatry and Balance Therapy Center. Dr. Knight knew this was the key to enabling her to combine her specialties in her practice and work with patients on a physical level as a neurologist and an emotional level as a psychiatrist. In June 2012, Dr. Knight and Dr. Barsky opened the doors of NPBTC to the Blue Bell community and surrounding areas. 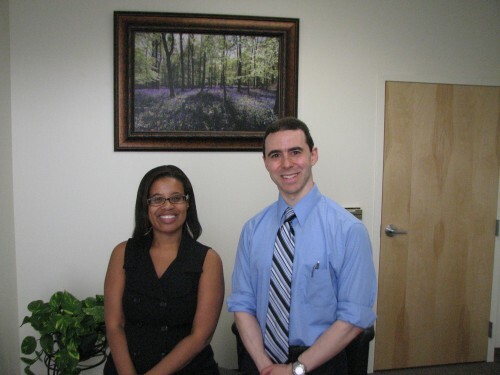 In addition to working together to help patients manage their dizziness, balance disorders and seizures, Dr. Knight and Dr. Barsky welcome and treat patients with a variety of neurologic, psychiatric, and physical therapy needs. Dr. Knight’s love of medicine began in her youth. She attended Rutgers – Newark Colleges of Arts & Sciences, where she received a B.A. in Biology. She started college with an interest in psychiatry, and through personal experiences during college, began to develop an interest in neurology. From college, Dr. Knight went straight to medical school. She attended the New York College of Osteopathic Medicine and graduated with a Doctor of Osteopathy degree (DO) in 2001. As her interests in both psychiatry and neurology had only grown since college, Dr. Knight made the decision to pursue both fields and complete two individual residencies. Dr. Knight began her training with a combined internship and neurology residency at the University of Medicine and Dentistry of New Jersey (UMDNJ), which she completed in June 2005. With her journey only half over, she went on to perform a secondary residency in psychiatry at the University of Maryland for the next three years. Upon completion of her residency training in 2008, Dr. Knight was selected for a one-year neurophysiology fellowship at Temple University Hospital, where she received special training in epilepsy, a debilitating neurological condition characterized by seizures. For Dr. Knight, epilepsy became a focal interest in her practice, as it is one of a handful of disorders that crosses the fields of neurology and psychiatry. Beyond the physiological and physical aspects of seizure disorders, associated mood and personality types, even occasional psychosis, are known to occur and are important factors in treating brain wave changes in with someone with epilepsy. After fellowship, Dr. Knight practiced psychiatry and neurology in hospital settings in the greater Philadelphia area. She practice psychiatry at Crozer Hospital from August 2009 to November 2010, at which time she began practicing neurology at Mercy Fitzgerald and Mercy Philadelphia. 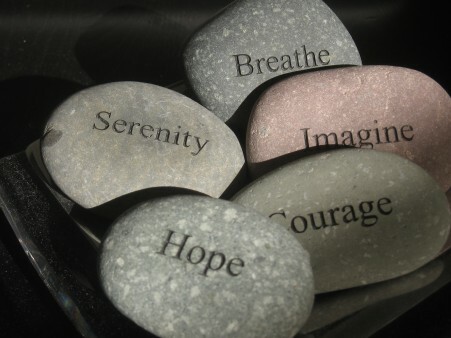 Currently Dr. Knight practices a blend of neurology and psychiatry at Neurology, Psychiatry and Balance Therapy Center. She continues to focus on epilepsy, seizure and balance disorders and dizziness, along with other conditions that cross over the lines of neurology and psychiatry. When Dr. Knight is not practicing medicine, she loves many to watch many types of movies, listen to music, read and cook. She is a big ‘foodie’ and enjoys both cooking at home and dining out. She enjoys all different types of cuisine. Dr. Barsky has always had an interest in health and fitness. He received his B.S. in Exercise and Sports Science from Ursinus College in 1997, his M.S. in Physical Therapy from Widener University in 2002, and his D.P.T. in from Temple University in 2013. Dr. Barsky completed his physical therapy clinical education experience in Pennsylvania at healthcare institutions including Chestnut Hill Rehabilitation Hospital and Bryn Mawr Hospital. 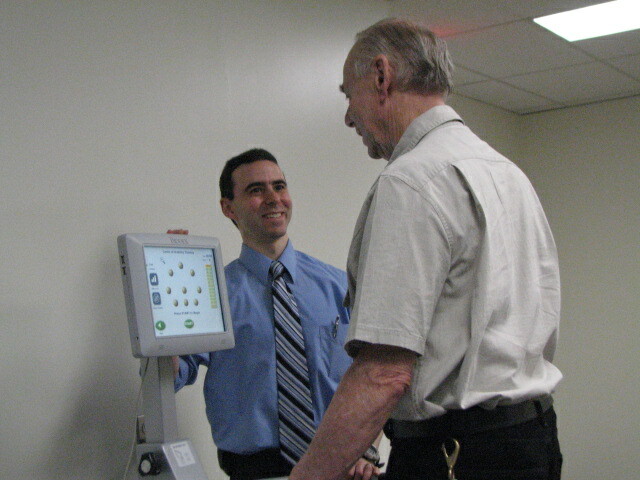 Upon completion of his physical therapy master’s level training in 2002, Dr. Barsky began practicing physical therapy at Chestnut Hill Hospital, where he has worked with patients in outpatient, acute care, and geriatric psychiatry settings. He also helped set up outpatient vestibular physical therapy at the Vestibular and Balance Center of King of Prussia in 2008 and worked there during the opening months. Dr. Barsky has invested heavily in continuing education throughout his career. He has taken courses in such areas as dizziness, balance, stroke, concussion management, vestibular testing and rehabilitation, depression, anxiety, and various orthopaedic and sports medicine conditions such as low back pain and knee and shoulder rehabilitation. In his practice at Neurology, Psychiatry and Balance Therapy Center, Dr. Barsky continues to focus on dizziness, balance and vestibular disorders, and orthopaedic conditions and helping patients return to their normal activities. When not working, Dr. Barsky likes to spend time with his family, exercising, going to parks, and deep sea fishing. NPBTC welcomed Lisa Beitman, PT, MSPT to the clinic in September 2013. Lisa has over 12 years of physical therapy experience working with neurological and general musculoskeletal conditions. At NPBTC, Lisa is focused on the rehabilitation of patients with vestibular and balance disorders, Parkinson’s Disease and other neurological conditions, as well as pregnancy and post-partum issues. Lisa received her B.S. in Exercise and Sports Science from Penn State University in 1998 and her Master’s of Physical Therapy from Temple University in 2002. 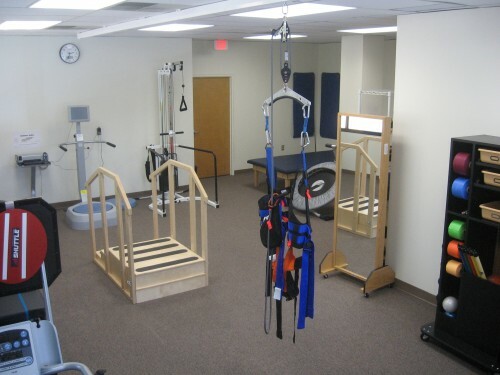 She has worked in respected inpatient and outpatient rehabilitation centers including Thomas Jefferson Hospital in Philadelphia, PA and Spaulding Rehabilitation in Boston, MA. 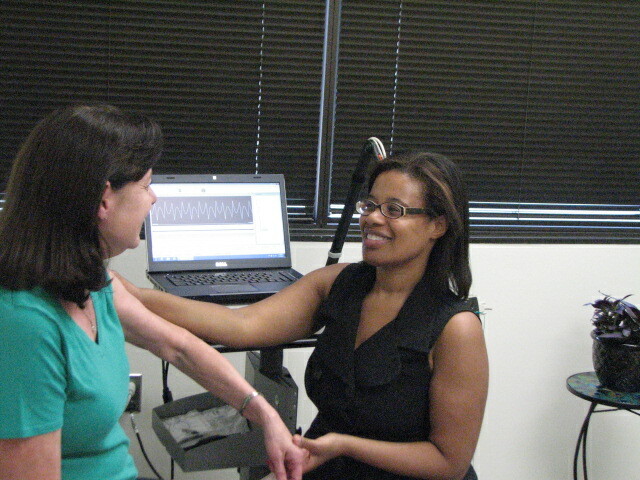 In 2010, Lisa received her Herdman Certification of Competency in Vestibular Rehabilitation. She was able to use these skills to help establish a vestibular program at the Spaulding Medford satellite clinic. Lisa returned to the Philadelphia area in 2011 and has enhanced her experience through continued education and work in specialized dizziness and balance clinics, working with varied vestibular disorders, post-concussion syndrome and general rehab. Lisa is a certified LSVT BIGTM practitioner with specific training working with individuals with Parkinson’s Disease. Since becoming a new Mom, Lisa has taken a special interest in treating women’s health issues such as pregnancy related pelvic pain, post-partum diastases rectus separations (separation of abdominal muscles), weakness of the pelvic floor and incontinence. Post p partum musculoskeletal pain due to hormonal changes and/or with nursing is also an interest. She is currently pursuing her Certificate of Achievement in Pregnancy and Post-Partum Physical Therapy (CAPP-OB) though the American Physical Therapy Association. In her free time, Lisa runs after her active toddler, enjoys yoga and pilates and is a recreational triathlete. 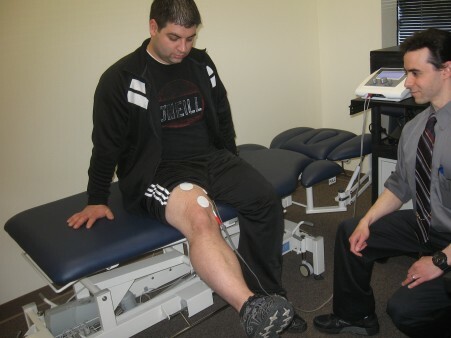 Dr. Kurelja specializes vestibular physical therapy and is a certified orthopedic clinical specialist (OCS). She graduated from Penn State University Main Campus in 2011 with a BS in Kinesiology, Movement Sciences. In 2014 she graduated with her doctorate of physical therapy from Arcadia University in. After graduation she was part of the vestibular therapy team at Chestnut Hill Hosptial along with Dr. Barsky. She has also served underprivileged orthopedic populations in Guatemala. She has taken advanced coursework in the management of vestibular pathologies including BPPV, concussion, vestibular hypofunction and more. In her spare time she enjoys running and just recently completed her first full marathon in Newport, RI. Dr. Allman is a board certified neurologist who joined NPBTC in 2016. She always had a passion for neuroscience and helping others. In 2003 she graduated from the University of Pittsburgh with a B.S. in Neuroscience and received a certificate in East Asian Studies. After obtaining this degree she pursued research at University of Pittsburgh’s School of Medicine’s Departments of Neurobiology and Neuropathology. The next step in her career was medical school and residency: she graduated from the Philadelphia College of Osteopathic Medicine in 2008 and then did her neurology residency at Temple University Hospital. While working, studying, and training, Dr. Allman also found time to volunteer for a number of organizations including Greater Philadelphia Cares, Big Brothers Big Sisters, and Global Links to name a few. Now, Dr. Allman has joined us here at NPBTC to help people with a wide range of neurological issues, including dizziness and balance problems.